Differential pricing—manufacturers varying prices for on-patent pharmaceuticals across markets—can, in theory, lead to increased patient access and improved research and development (R&D) incentives compared with charging a uniform price across markets. Theoretical models of price discrimination and Ramsey pricing support differentials based inversely on price elasticities, which are plausibly related to average per capita income. However, these models do not address absolute price levels and dynamic efficiency. Value-based differential pricing theory incorporates insurance coverage and addresses static and dynamic efficiency. Limited empirical evidence indicates a weak positive relationship between prices and gross domestic product (GDP) per capita. External referencing and parallel trade undermine differential pricing. We discuss previously neglected factors that undermine differential pricing in practice. High price growth relative to GDP in the USA leads to widening differentials between the USA and other countries. Concerns over the effects of confidential rebating challenges acceptance of this approach to implementing price differentials. The growth of branded generics in low- and middle-income countries leads to complex markets with product and price differentiation. Patricia M. Danzon and the Celia Moh Foundation have no conflicts of interest that are directly relevant to the content of this article. Yadav P. Differential pricing for pharmaceuticals. UK Department for International Development. 2010. https://www.gov.uk/government/uploads/system/uploads/attachment_data/file/67672/diff-pcing-pharma.pdf. Accessed 12 Jan 2017. Kanavos P, Kowal S. Does pharmaceutical parallel trade serve the objectives of cost control? Eurohealth. 2008;14(2) 22–26. http://www.lse.ac.uk/LSEHealthAndSocialCare/pdf/eurohealth/VOL14N2/Kanavos%20and%20Kowal.pdf. Accessed 12 Jan 2018. Helble M, Aizawa T. 2015. International trade and determinants of price differentials of insulin medicine. ADBI Working Paper 551. Tokyo: Asian Development Bank Institute. 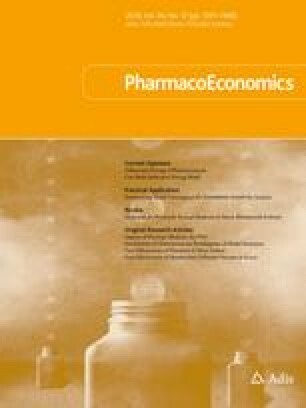 http://www.adb.org/publications/international-trade-and-determinants-price-differentials-insulin-medicine/ Accessed Sep 2017. Canada Patented Medicine Prices Review Board. Annual Report 2016. http://www.pmprb-cepmb.gc.ca/view.asp?ccid=1334#a6. Accessed 25 Jan 2018. Commonwealth Fund. Getting to the root of high prescription drug prices. Issue Brief July 17, 2017. Commonwealthfund.org. http://www.commonwealthfund.org/publications/issue-briefs/2017/jul/getting-to-root-high-prescription-drug-prices. Accessed 12 Jan 2018. Sagonowsky E. Pfizer, Novartis and more post price hikes on dozens of drugs, but AbbVie’s is worth the most. FiercePharma. 2018. www.fiercepharma.com/pharma/drug-price-hikes-a-few-bad-actors-or-widespread-pharma. Accessed 4 Jan 2018. Congressional Budget Office Cost Estimate. “H.R. 1 Medicare Prescription Drug and Modernization Act of 2003 As passed by the House of Representatives on June 27, 2003 and S. 1 Prescription Drug and Medicare Improvement Act of 2003As passed by the Senate on June 27, 2003, with a modification requested by Senate conferees” (July 22, 2003). https://www.cbo.gov/sites/default/files/108th-congress-2003-2004/costestimate/hr1s100.pdf. Hiltzik M. How “price-cutting” middlemen are making crucial drugs vastly more expensive. LA Times June 09 2017. http://www.latimes.com/business/hiltzik/la-fi-hiltzik-pbm-drugs-20170611-story.html. Kaplan W et al. Policy options for promoting the use of generic medicines in low- and middle-income countries. 2016. Health Action International. http://haiweb.org/wp-content/uploads/2017/02/HAI_Review_generics_policies_final.pdf. CMS.gov. CMS Proposes Policy Changes and Updates for Medicare Advantage and Prescription Drug Benefit Program for Contract Year 2019 (CMS-4182-P) https://www.cms.gov/Newsroom/MediaReleaseDatabase/Fact-sheets/2017-Fact-Sheet-items/2017-11-16.html. The World Bank. GDP per capita, PPP (current international $). https://data.worldbank.org/indicator/NY.GDP.PCAP.PP.CD. Accessed 24 July 2018.